My time with Starlink: Battle for Atlas was some of the most surprising I’ve had all year. After seeing some trailers and a demo, I predicted a solid space adventure with cool toys to support the experience. Instead, I got annoyed with the toys and put off by the game design, but found myself pleased by what can be seen as the ingredients for the best Star Fox game yet. 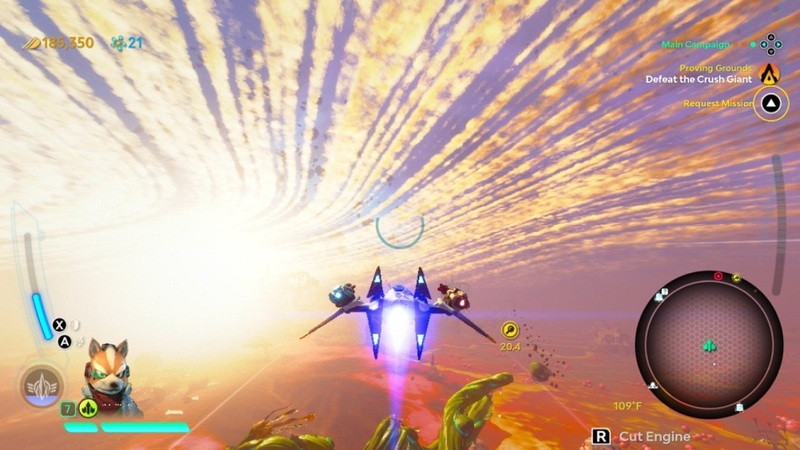 Starlink is an open-world/open-galaxy title that puts players in the cockpit of a variety of starships. It takes an approach similar to No Man’s Sky, in that it lets players go where they wish — leave a planet anytime, travel through space at will, and essentially tool around a star system with little restriction. However, it leaves out a number of things like the survival elements and crafting. Instead, it asks players to engage in action-oriented activities while still being able to roam freely. From a certain perspective, Starlink is successful. For example, controlling the ships feels great, and the developers have done a fantastic job making sure that transitions are cohesive — dogfighting pirates in space is tight, entering the atmosphere of a planet and flying in its skies is smooth, and switching into a “skimmer” mode which has the ship hovering just above the ground works marvelously. It’s totally dialed in, and comes off as both intuitive and correctly kinetic. However, in other respects Starlink is far less successful. Frankly, it falls absolutely flat on its face when it comes to telling a story, building a world, or selling its characters. Rather than taking time to establish elements and properly bring the player into this world, a lot of jargon gets thrown around by a cast who feel like generic, focus-grouped amalgamations. Watching these forgettable templates talk amongst each other about things that the player doesn’t understand or care about is the opposite of good storytelling. The structure of the game follows suit by introducing a ton of systems, currencies, mods, options and structures that come at the player fast and furious, improperly layered and never given appropriate context or significance. Objectives pop up without clearly explaining their purpose. A slew of alien characters emerge, and it’s anyone’s guess whether they’re important or a one-and-done NPC. At a certain point it all just started washing over me, and I found no reason to be invested in any of it. I likely would have lost all interest in Starlink after just a few hours if Ubisoft hadn’t sent the Switch version for review. It’s ironic that I received a Nintendo-compatible copy because my initial preference was to go PS4 – the game looks better on more powerful hardware, and I had concerns about managing the toys while playing on a portable. But after my time with it? There’s no question that the only version to get is on the Switch, and it’s all due to Star Fox. I knew ahead of time that the Switch version would include a special Fox-themed ship and character, but I assumed they’d be skins or basic additions. 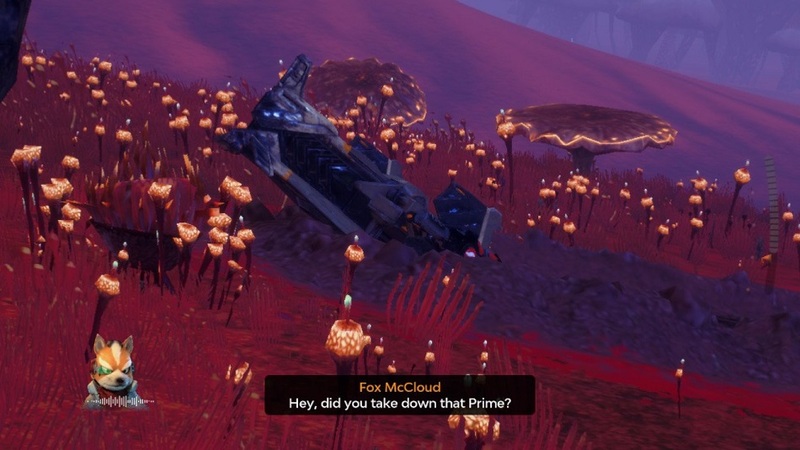 Instead, I was shocked to find that Fox is fully integrated into the cutscenes and dialogue – he interacts with the Starlink characters as an equal. Further, there’s a Fox-specific questline, and his supporting characters are prominent. I played as Fox in his trademark Arwing the entire time and ignored all of the proprietary characters, and the experience was better for it. 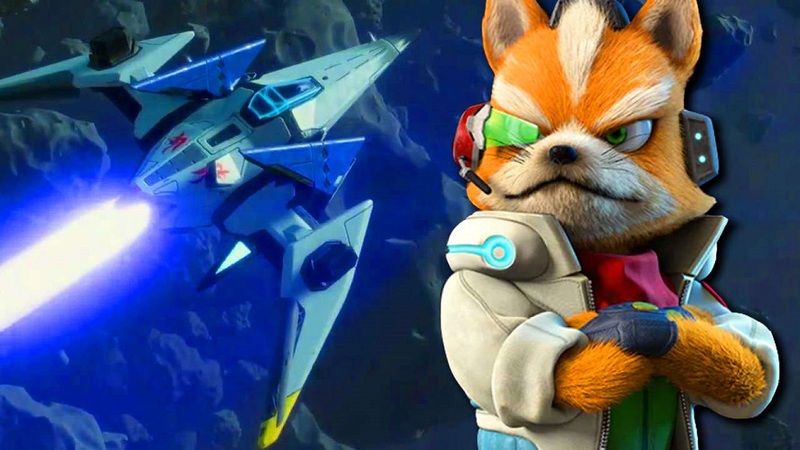 I would love for the Starlink team to take the bones of what they’ve got and turn it into a full-fledged Star Fox title — it would be a damn sight better than the last thing Nintendo gave us. At this point in the review, it occurs to me that I’ve forgotten to mention the toys-to-life aspect, and the omission is rather telling. 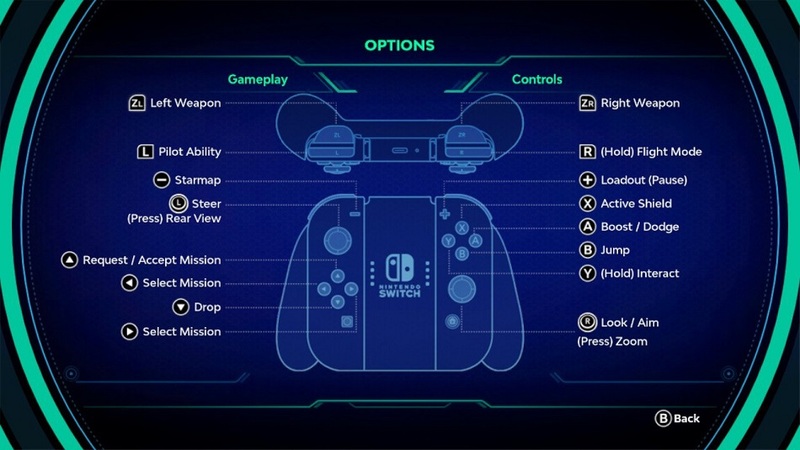 Starlink offers a host of plastic characters, ships, and guns that can be attached to a controller via a plastic cradle to determine what loadout the player uses in-game. While the toys are good quality and look cool on a desk, they’re inconvenient to use, especially when considering the portable nature of the Switch. However, Starlink is aware of this and has taken steps to mitigate. Once attached to the cradle, the game will “scan” the toys and they’ll stay in system memory for a week, meaning that players will only have to attach their ships and guns in various combinations once every seven days. Once scanned, players can go into the pause menu and make their selections instead of physically attaching and rearranging the toys. It’s not a bad solution, but Starlink can also be played in “digital” mode. In this case, players can buy a download code to get everything unlocked at once, or piece-by-piece as DLC and skip the physical toys altogether. With that in mind, I found variations between the ships and pilots to be minimal, and differences between the weapons even smaller. The mix-and-match arsenal is color-coded with different elements such as ice, fire, and gravity. While there are some neat combos to be discovered, they’re largely used to unlock in-game items that require being shot by one color or another. The variety of play suggested by the array of toys isn’t as rich as it appears, and they don’t deliver anything beyond what an average game would. Disclosures: This game is developed and published by Ubisoft. It is currently available on PS4, XBO and Switch. This copy of the game was obtained via publisher and reviewed on the Switch. Approximately 10 hours of play were devoted to the single-player mode, and the game was not completed. This game supports co-op mode only when the game is in docked TV mode, zero time was spent in it. Parents: According to the ESRB, this game is rated E10+. The description taken directly from the ESRB itself: This is an action-adventure game in which players follow interstellar pilots battling a robot menace in order to liberate a star system. 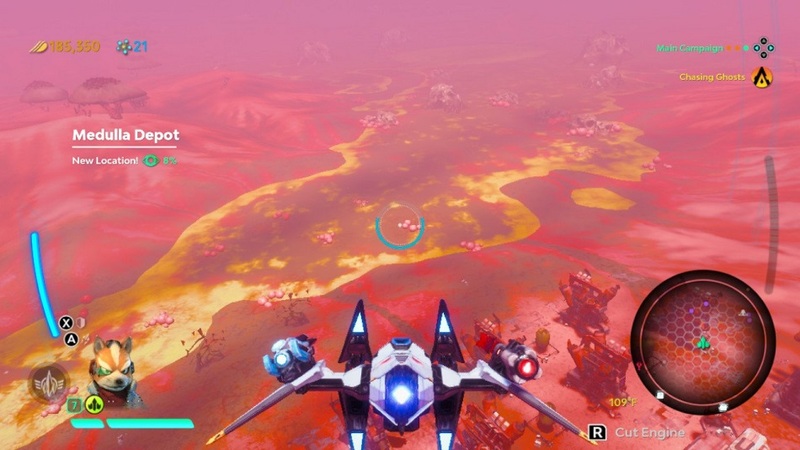 As players explore alien planet environments, they can collect resources, perform quests, and fight enemies using their spaceships. Ships shoot lasers, missiles, and fantastical weapons (e.g., ice attachment, Fury Cannon) at robot enemies; damage is indicated by light flashes, floating hit points, and large explosions. 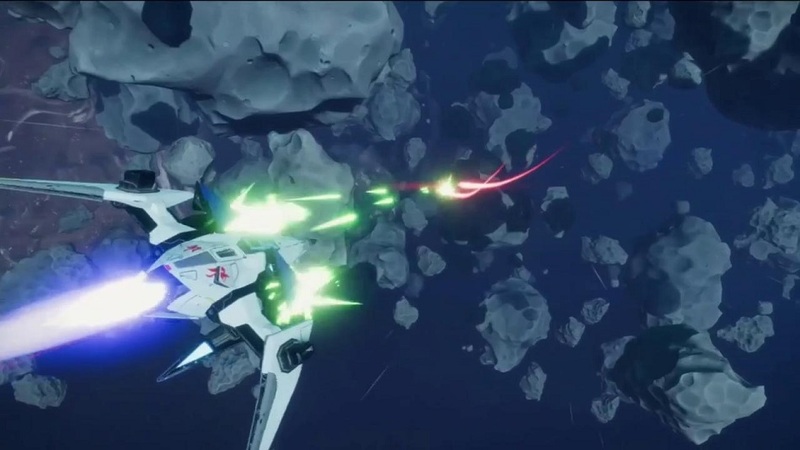 Players can also engage in dogfight sequences in space; some of these fights can be frenetic and involve dozens of enemy ships. Deaf & Hard of Hearing Gamers: All dialogue is subtitled and the game offers several options to support this, including resizable text and adjustable background opacity to enhance readability of the text. However, be aware that characters will often talk or share information while action is happening onscreen, and it’s quite difficult to read what’s being said while dodging fire or trying to shoot down space pirates. This crew is excessively chatty at inopportune times.